Till a system was formed, which some took advantage of & enslav’d the vulgar by attempting to realise or abstract the mental deities from their objects; thus began Priesthood. And at length they announced that the Gods had ordered such things. David Ferry is an actor and director. He stars in Eternal Hydra by Anton Piatigorsky, presented by Crows Theatre opening May 17th, 2009 at Buddies in Bad Times Theatre in Toronto. 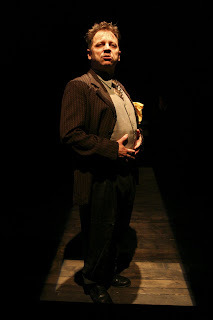 Click here to learn more about Praxis Theatre's Variations on Theatre. 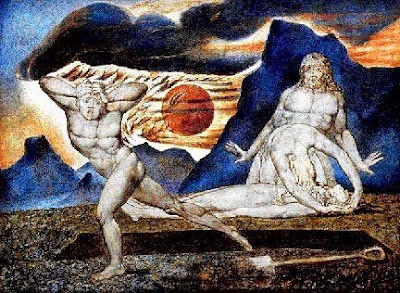 Posted by Praxis Theatre at 10:16 a.m.
"The Body of Abel Found by Adam & Eve" by William Blake. Billy Bragg singing Blake's Jerusalem.